Screen capture of Ramiro Garcia's audition. Texas, USA. 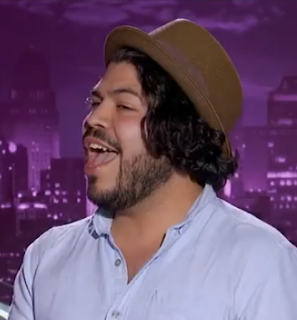 Ramiro Garcia entered the audition room of AMERICAN IDOL with a talent that was not expected due to his hearing problem. "I wasn't born normal. I came out a bit different. I came out with no ears..." Ramiro said. He also added, "Doctors gave my parents the worst news: Your son's not gonna be able to hear. He's not gonna be able to speak. You know, he's gonna be mute." What a beautiful story. This is why we love American Idol. he has an incredible voice despite the difficulties in hearing.